Stewart Lupton — the frontman for influential pre-Walkmen project Jonathan Fire*Eater — has died. He was 43. The sad news first emerged on Twitter today, with Lupton's passing then being confirmed by his cousin via Instagram. Since then, various tributes have been emerging online. "Thank you so much for your tributes to this beautiful artist. I love hearing what he meant to other people. Stewart inspires me endlessly and is so dearly missed," his cousin Sarah Lupton wrote. As of press time, Lupton's cause of death is unknown. Despite only existing for a few years between 1993 and 1998, Jonathan Fire*Eater are often seen as a major influence on the early aughts rock that arose in New York, making a noticeable mark on such bands as the Strokes, Interpol and Yeah Yeah Yeahs. More than that, though, Jonathan Fire*Eater featured Paul Maroon, Matt Barrick and Walter Martin, all three of whom eventually went on to help form the Walkmen. Jonathan Fire*Eater were also featured in Lizzy Goodman's book Meet Me in the Bathroom, with the tome citing them a major influence on the NYC scene that came in their wake. In addition to a series of singles and EPs, Jonathan Fire*Eater released their self-titled debut album in 1995 and then Wolf Songs for Lambs in 1997. The latter marked their first and only major label album, with Wolf Songs for Lambs arriving on the DreamWorks imprint headed up by Steven Spielberg, Jeffrey Katzenberg and David Geffen. 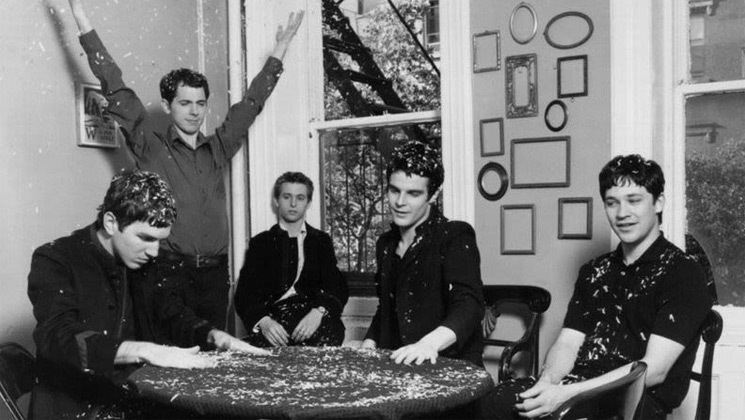 Jonathan Fire*Eater broke up in 1998, with Maroon, Barrick and Martin going on to form the Walkmen. Lupton eventually enrolled at George Washington University in Washington, DC, where he studied poetry. He later formed a new band called Child Ballads. The Walkmen Announce "Extreme Hiatus"